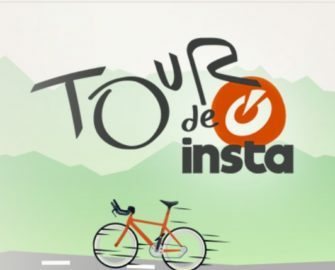 InstaCasino – Tour de Insta / Day 8! Earn up to 200 RealSpins! 21 daily stages with Free Spins and Bonuses ! Up and down, then flat, and repeat! The original “Tour de France” is certainly not everyone’s cup of tea. Much easier to conquer are the 21 stages at InstaCasino’s own “Tour de Insta” with daily offers for large amounts Free Spins and generous Bonuses. And at InstaCasino Free Spins are RealSpins, which means nothing less than the winnings from them being hard cash, no wagering requirements. Today, players can earn up to 200 RealSpins on the Mexican themed Grim Muerto slot from Play’n GO. Keep following the stages of the “Tour de Insta 2017” and claim as many of the 21 different offers during July as possible. Divided into Individual Time Trial, Flat, Hilly and Mountain Stages, the campaign will run until 23rd July 2017 with a daily offer for RealSpins and Bonuses. Simply visit the promotion page every day to discover the current offer. Question remains now whether you will wear the “orange” shirt at the end? Deposits made via Skrill and Neteller will not qualify. Accrued free spins will be added by noon on Thursday and will be valid for 48 hours only. There is no wagering requirement on winnings from RealSpins.